Innovative solutions for your medical imaging needs in one stop in the South Hall. 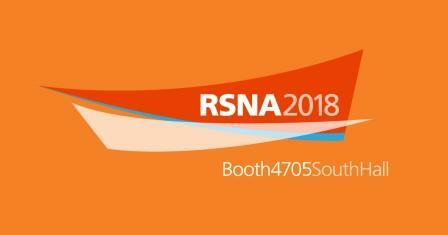 RSNA 2018 is a big week for those of us in medical imaging. It is also, literally, a big event – with more than 400,000 square feet of exhibit space. Save yourself some time – and give your tired feet a break- by visiting the Carestream Health booth in the South Hall. With one stop, you can see innovative solutions for imaging rooms, mobile X-ray, extremity imaging, digital output solutions, and enterprise imaging solutions for healthcare IT. Here is a preview of the solutions you will find at the Carestream Health booth at RSNA 2018. Schedule your personalized demonstration today! Carestream offers award-wining healthcare IT solutions and services that unify enterprise imaging across sites, specialties, and technologies to simplify medical image management, enable effective collaboration, and enhance patient care. Our Vue Clinical Collaboration Platform is a powerful, modular, multi-site, multi-domain, standards-based Enterprise Imaging solution. Its shared back-end architecture provides the backbone for a fully integrated clinical imaging, workflow, and reporting infrastructure. Carestream’s Clinical Collaboration Platform enables real-time, on-demand access to holistic clinical data for those involved in the care journey, including the patients. The OnSight 3D Extremity System uses cone beam CT technology to capture high-quality, 3D weight-bearing and other types of extremity exams for orthopaedic practices, imaging centers, and hospitals. CARESTREAM DRX-Excel Plus combines both fluoroscopy and general radiology capabilities in one compact unit with accelerated workflow, high-resolution images, and easy convenient operation to provide total flexibility. The popularity of fluoroscopy for diagnostic imaging is surging, and with good reason. Fluoroscopy provides excellent image quality and supports a wide range of exams. 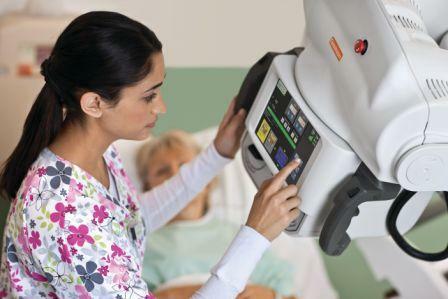 Carestream’s technology has been optimized specifically for large hospitals and imaging centers. The CARESTREAM DRX-Evolution Plus delivers a full range of new features and options that make it more powerful, more dependable and more affordable than ever. Features and options include an extended tube column range, high-weight capacity tables, and fully motorized or manual operation. The DRX-Evolution Plus provides pristine image quality to support accurate diagnosis. Its future-friendly, modular design will grow with your needs. The CARESTREAM DRX-Ascend has just the right features to meet your most pressing needs in the present, with a clear upgrade path for the future. Whatever your starting point, your Ascend solution will deliver superb performance and a system that will grow along with you. The X-Factor Detector Platform, our wireless DRX Detectors, works across all your DRX equipment to provide images with superb speed and quality. Our full line of digital X-ray systems combine compatible, scalable components to meet today’s needs and position you for tomorrow’s growth. Carestream’s medical imaging DRX equipment will be on display at RSNA2018. SmartGrid Software can help you reduce the damaging effects of scatter radiation in a radiographic image and help eliminate the need for an anti-scatter grid. This optional capability is available for use with Carestream’s portable and room-based DRX imaging systems as well as our DRX-1 retrofit system that converts computed radiography systems to digital radiography. ImageView Software is our newest clinical-acquisition software platform designed to support advanced applications and take your productivity and patient care to the next level. 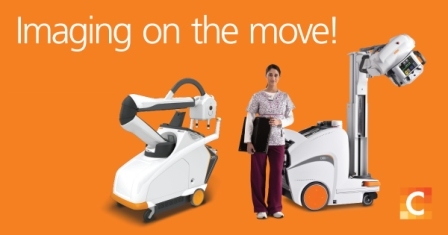 It is available now with the DRX-Revolution Mobile X-Ray System and our OnSight 3D Extremity System. The MyVue Center Self-Service Kiosk is designed to enhance patients’ ability to access and manage their medical imaging exam records. Patients can use the kiosk to print or share radiology reports and output their medical images onto film or a USB drive. The product is currently available in France, Mexico, Argentina, Brazil, Peru, and Colombia, with other countries to follow. CARESTREAM Managed Print Solutions is a comprehensive Web-based, pay-per-print program available for healthcare imaging. It takes responsibility for virtually everything from monitoring and delivering your consumables to providing the latest DRYVIEW equipment and software updates. The DRX-Revolution Mobile X-ray System features excellent image quality and maneuverability. Its collapsible column makes it safer and easier to drive. Powered by a wireless DRX detector, this x-ray room on wheels drives like a dream and gives you fast, high-quality images. The DRX-Revolution Nano is a fully integrated DR solution that can help speed your workflow, boost productivity, and improve your standard of care. This uniquely designed system includes carbon nano tube technology in a lightweight, budget friendly system. It’s a perfect complement to your current mobile fleet or as a dedicated unit in your ICU or pediatric department. The Nano is not available for commercial sale in the European Union. See Carestream’s solutions for mobile imaging at RSNA 2018. Carestream Health is ready for RSNA 2018. Are you? Don’t forget the Oct. 26 deadline for discounted registration. 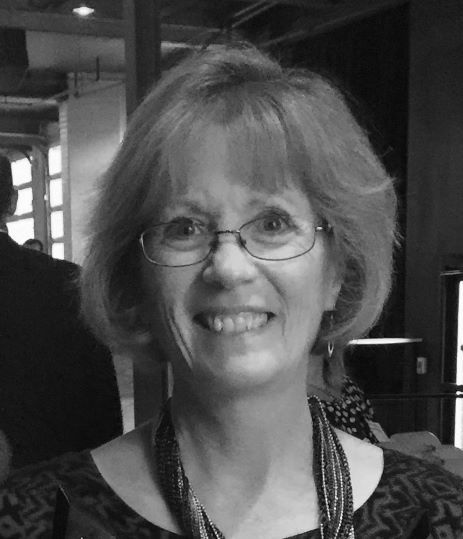 Katie Kilfoyle Remis is the editor of Everything Rad and the social media strategist at Carestream Health.